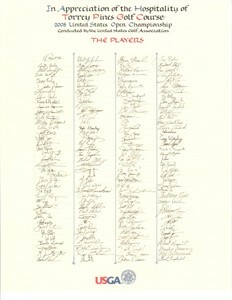 This 8 1/2 by 11 inch 2008 U.S. Open replica player scroll was distributed by the USGA exclusively to the tournament volunteers. 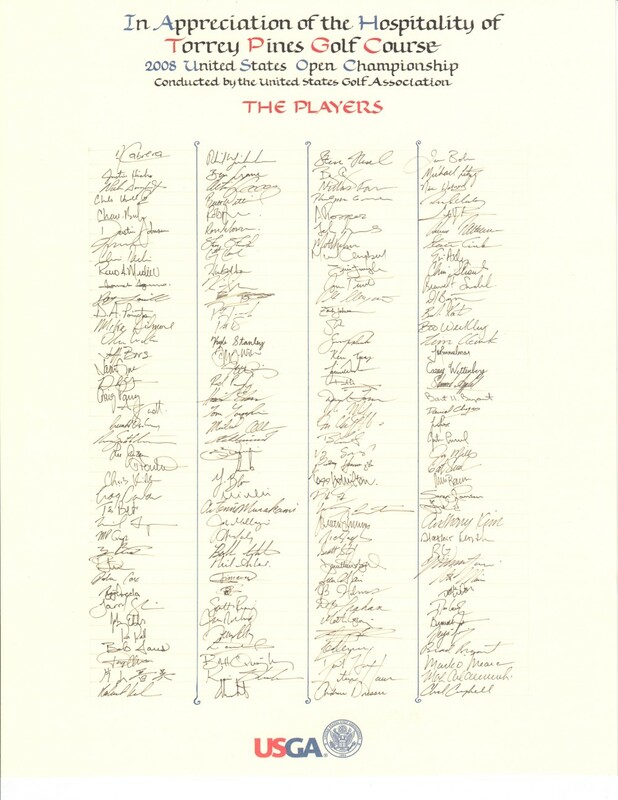 It is printed on card stock and features reproductions of the signatures of every participating player including, of course, Tiger Woods, who won his 14th major in dramatic fashion at Torrey Pines. MINT. ONLY ONE AVAILABLE FOR SALE.